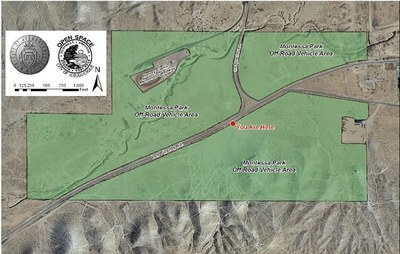 Located in the South Valley, the 577-acre Montessa Park is the location for Open Space Administration Offices, the Brent Baca Memorial Disc Golf Course an off-leash dog park, and a special use off-road vehicle park. There are no formal trail routes or developed facilities, only simple access areas. No reservations are required and the area is closed at dark. Riders under 18 years of age MUST complete a certified OHV course and obtain a safety permit prior to riding on public lands and must carry the safety permit when operating on public lands. On-line training courses are available. For more information see the New Mexico Off-Highway Vehicle Program training website. To report violations or trespassers, call (505) 452-5206 or (505) 242-COPS. The Off-Road Vehicle Area is located adjacent to private property. Please respect all Park boundaries when using off road vehicles in the area. Open Space boundaries are clearly marked with fence and Open Space regulation signs. Cutting fences to access private property is illegal and punishable by law. Violators and trespassers are subject to fines and/or imprisonment. To visit Montessa Park, take Interstate 25 to the Rio Bravo Boulevard exit; travel west on Rio Bravo and turn south on Broadway; approximately 1.5 miles turn east on Bobby Foster Rd. and then north on Los Picaros Rd. Access to the off-road vehicle park is on the south side of the road. The Open Space offices are located at the end of Los Picaros Rd. Park boundaries are shown in green.